I saw this tag today at Fiction No Chaser and thought TODAY is the perfect day to quickly cobble a post together! Lol. This tag was created by Book Princess Reviews. *The image above was borrowed from the creator, Book Princess Reviews, and the images below with each prompt are borrowed from Fiction No Chaser. Well since I just did Disney World, I can easily say that! Though my next adventure for Halloween might have to be Salem, Massachusetts! Or at anytime really! Basements. I was always terrified of my basement. One of those "haunted mansion" walk throughs at Six Flags Fright Fest. The reason is because one of the "rooms" to walk through was a tight narrow "closet" lined with fur coats everywhere! I just KNEW hands were going to jump out and try to grab you. I don't think they were allowed to actually touch you then. Even knowing this, it still terrified me, so I basically plowed through that closet! A werewolf! Hello to fast burning calorie action! And the possibility of living longer and aging slower...depending on your werewolf lore source! I was more scared of the horror movie ones. I had a "bad" parent at times and he would have on whatever he wanted to watch. One time it was a Freddy Kreuger movie. It terrified me! I think I had to have been 7 or 8. Eventually it turned into being scared of the murderous psychopaths from your average thriller movie where there was nothing supernatural involved. This lasted until about my preteens I think? I have an overactive imagination, I scare easily, and it's sometimes hard to "forget" these things! I'm not big on scary movies. But I do enjoy watching the classics, like Creature from the Black Lagoon! The original monster movies are ones I enjoy! Though I do enjoy watching Stranger Things and I plan to watch that new Netflix Sabrina series too! Sam, Dean, Scooby, and the rest of Mystery Inc of course! Sadly no. I wouldn't mind experiencing something not too dangerous though! Lol. So you see yet again I am waiting on C.C. 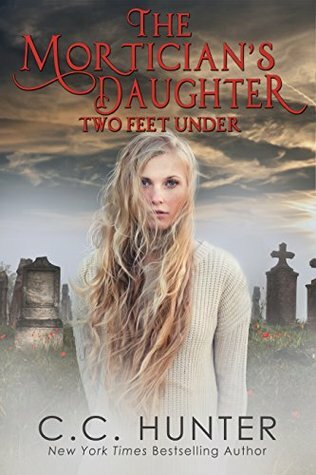 Hunter's Two Feet Under! The release date keeps getting pushed back and it's driving me bonkers! Lol! Needless to say I am still waiting and can't wait! 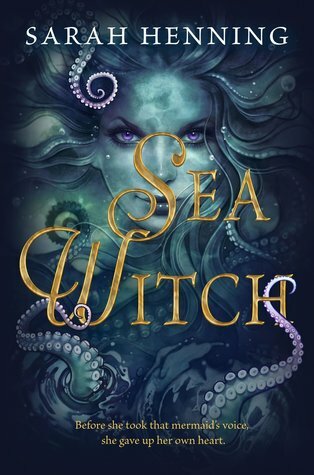 One of my most anticipated reads of the summer was Sarah Henning’s Sea Witch, an origin story that tells us of the sea witch and how she came to be from Hans Christian Andersen’s The Little Mermaid. It was truly a remarkable story that kept me guessing long until its end! It continued to surprise me throughout and I wasn’t truly expecting the ending that we got, even though I sort of knew the grand scheme of it all! 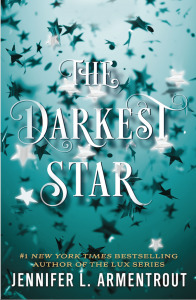 Evie is a teenager who continues to mourn the loss of her best friend, Anna. Four years ago, she drowned and Evie, along with their friend, Nik, a prince to boot, were unable to rescue her despite trying. Now life moves on. Nik is close to becoming king and must start thinking of marriage proposals. Evie though, has always had her eyes set on Iker, Nik’s cousin. I’ll admit, the beginning part was a tad slow. It sort of sets the scene and it’s not until one night when Evie and her friends were on a ship, having a good time in celebration that a storm hits and Nik is sent overboard. The next morning Evie finds him on shore and just catches a glimpse of someone who looks very much like her best friend, Anna. And then it’s not long after before the heroine is revealed, Annemette is a new girl in town who is deeply in love with Nik, but she has a secret too, one we learn fairly quickly, she’s a mermaid! She was able to use a spell to turn her into a mermaid and has four days to earn Nik’s love so that she can stay human forever. But winning over Nik will be a challenge itself, for who falls in love in a matter of days? Lol. This is when things start to pick up! Evie can’t get over how much Annemette resembles Anna, she longs for her to be her best friend newly returned. Despite that, a friendship grows between them. Every so often we would get chapters from the past. Ones that shed light onto the event that happened four years ago when Anna drowned. I wasn’t too sure of their purpose at times as they seemed somewhat random in some moments. But then a bigger picture started to form and their purpose became all too clear. One little thing I really enjoyed was how Sarah included aspects of Hans’ original tale within the story. Little details like spells being woven, a time limit of four days, how her feet ache after walking for just a day—in the original story, I believe the poor mermaid suffered what felt like walking on glass shards every time she walked. It’s been a few years since I read that one, but the memories of some details are still pretty clear. I thought I had a clear idea of who would eventually be our sea witch that presents the famed deal she makes with one little mermaid. Also, keep in mind when things get mentioned or referenced to The Little Mermaid, it’s to the fairy tale and not the Disney movie. The fairy tale ended in an entirely different kind of way! But anyway, I was sure I knew which of our characters would turn into the sea witch in whatever manner, but I was proven wrong, then right, then wrong, then right again! Lol! Yes, it was that confusing for me too! But I honestly loved that Sarah kept me guessing until the very end! As far as romance goes, there was a little bit in here. Not as much as it seemed like a focal point of this story was based on friendship. All the trials and tribulations of friendship; its ups and downs and what can happen when tragedy strikes. This book moved me far more than I thought it would. It really makes you want to look at the sea witch differently in the beloved tale. They say there’s two sides to every story, and those words are true. This story belongs to the sea witch and you will forever look at her differently when returning to the classic tale. Sea Witch was a surprising read in some ways! It wasn’t the story I was expecting but I still ended up really enjoying this one! It ends in just the right way too, one that brings about a conclusion to her story, though I did always wonder what happened to her at the end of The Little Mermaid…perhaps that could be a possible sequel idea for Sarah, but in truth, I think this book stands perfectly and wonderfully on its own! 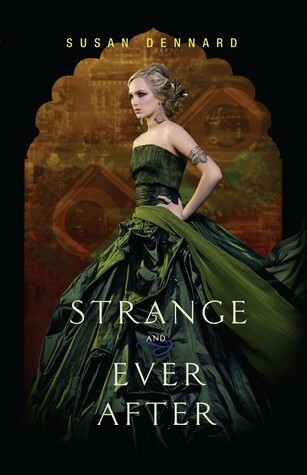 This is a must read for all fairy tale fans who love a good villain origin story! 10. 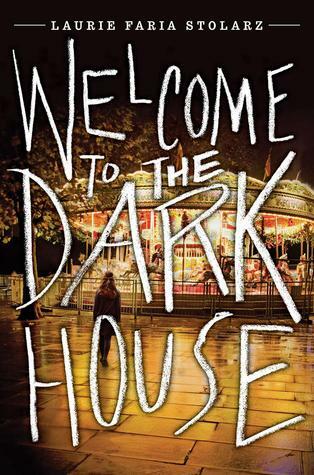 WELCOME TO THE DARK HOUSE by Laurie Faria Stolarz--I loved Laurie's first series so I picked up her other books over the years as well! 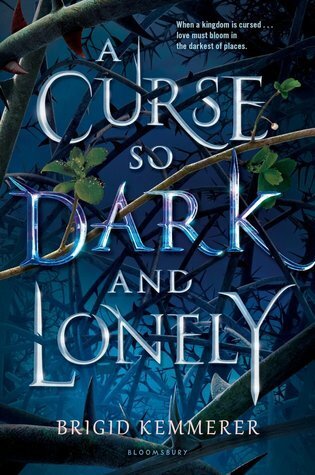 When I knew this was a duology I held off reading it right away, so of course now I am behind! 9. 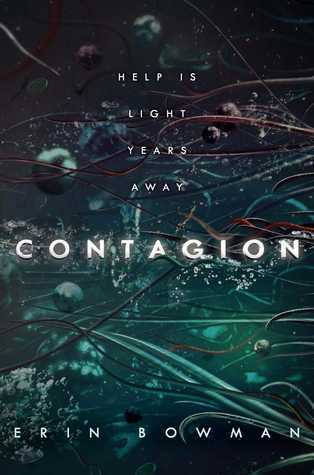 CONTAGION by Erin Bowman--I was super excited to read this one after some stellar reviews, but then people mentioned the C-word. Yes, CLIFFHANGERS! 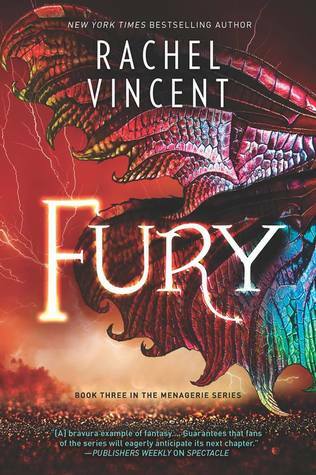 It basically made me want to hold off on reading this one once I get the final book in my hands as well! 8. 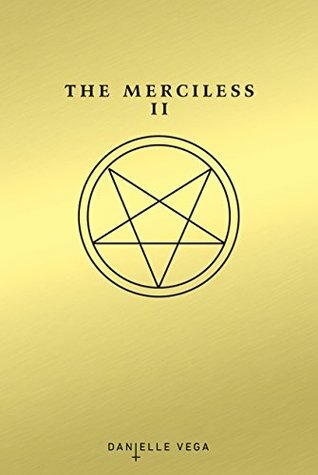 THE MERCILESS II by Danielle Vega--so I've basically only read the first one, but I want to read the rest! All three of the remaining books! 7. 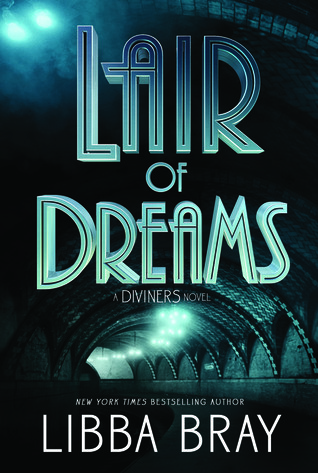 LAIR OF DREAMS by Libba Bray--still need to get caught up with this series! The Diviners was awesome! But man, these books keep getting intimidatingly long! 6. 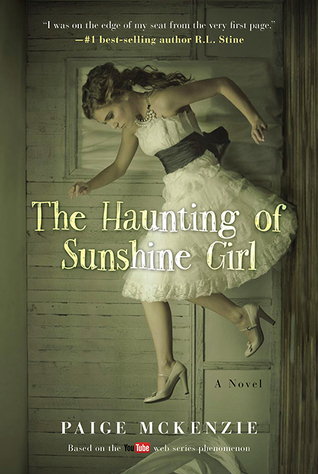 THE HAUNTING OF SUNSHINE GIRL by Paige McKenzie--a series I picked up whimsical like but have yet to start! 5. 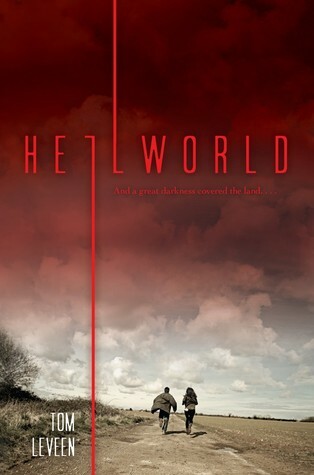 HELLWORLD by Tom Leveen--I heard good things about this one! 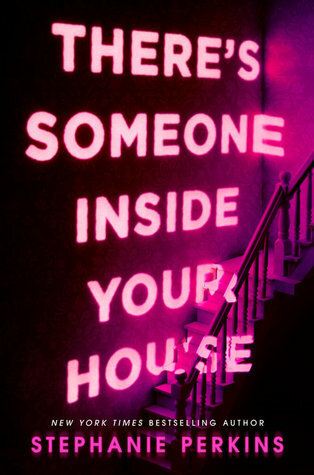 It sounded super creepy and I sooo can't wait to read it! 4. 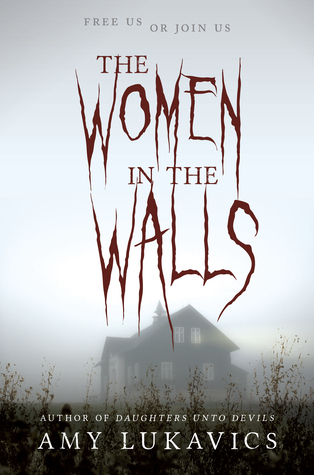 THE WOMEN IN THE WALLS by Amy Lukavics--I've had this one for too long! Amy's first book was pretty eerie so I'm hoping for a bigger scare factor with this one! 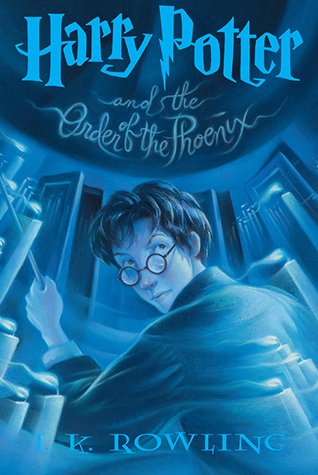 I mean look at the cover! 3. 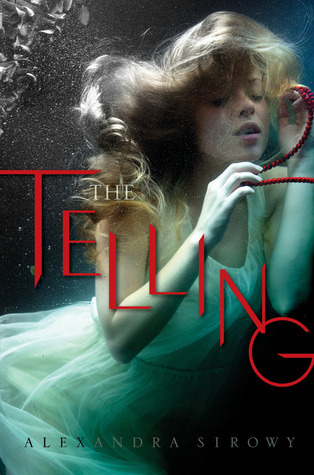 THE TELLING by Alexandra Sirowy--this one looked pretty creepy too. I liked her first book so I naturally picked this one up! 2. 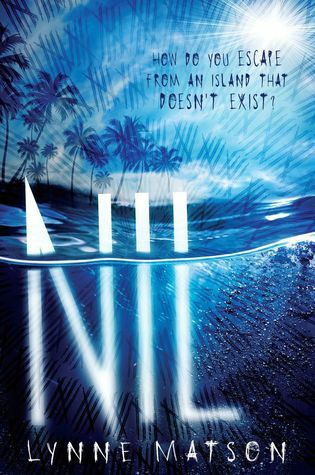 NIL by Lynne Matson--this one sounds really creepy! I mean a sentient island?! I soooo can't wait to binge this series! 1. 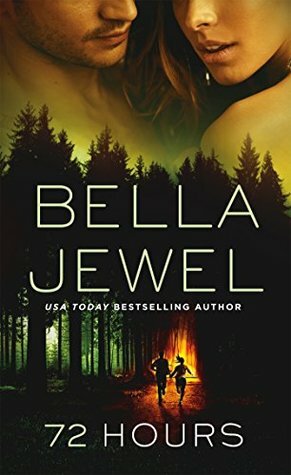 72 HOURS by Bella Jewel--this one sounds creepy and intense!! But yeah...there's some issue with that cover! Lol. 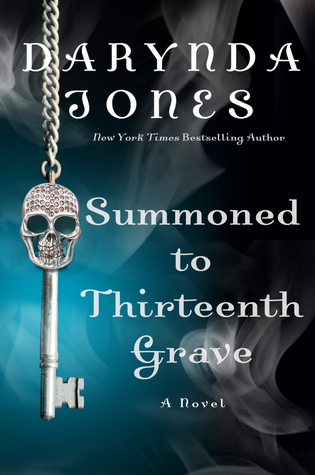 Summoned to Thirteenth Grave by Darynda Jones (ARC)--Review to come later this week! My week after Disney was kind of drag. Mostly because I was missing my homeland! Lol. Luckily there was only a little bit of chaos to deal with at work! I got most of it taken care of on Monday and then the rest had to wait until Wednesday! And then what fun, I also got started on billing for the third time around! Hopefully there's no mishaps this time! 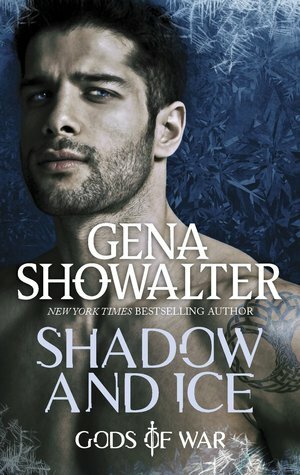 Shadow and Ice by Gena Showalter--I felt like it was time to give Gena's adult books a try and since she has a new series starting, I felt like that was the place to start! Lol! THANK YOU St. Martin's Press!! Then I came home to this marvelous surprise this week! Totally lit up my day! THANK YOU Simon Teen/Riveted Lit! Then I also got my preorder goodies for Wildcard from Penguin Teen! And finally I decided that when I was buying this for my niece, I needed a copy and at $4.50 it's hard to say no! And that was my week! Not too shabby if I do say so myself! What did you all get? I found this delightful tag through Fiction No Chaser, though it was created by Anthony at Keep Reading Forward! I thought it immediately sounded like fun, because HALLOWEEN!! How about feuding witch and warlock families! A feud that spans the ages! 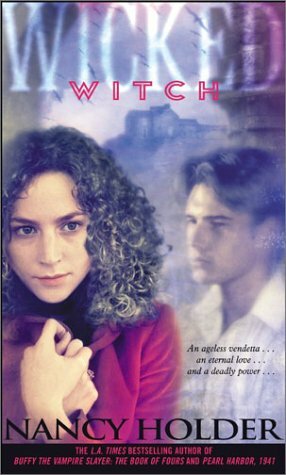 Wicked: Witch was an early witchy read of mine that I absolutely loved! 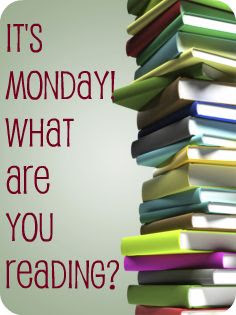 The only time to read a book involving ghosts and haunted houses is at night! 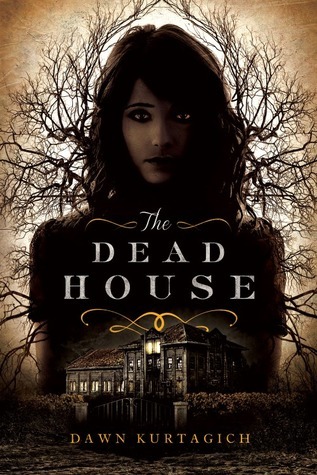 The Dead House would definitely be one of these books! 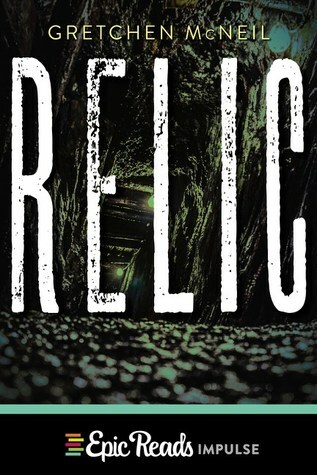 Relic was one of my more recent shocking reads! That one had a twist I totally didn't see coming! Seriously, Dolores Umbridge always comes to mind with this topic! She was the most sinister kind of evil. I seriously think Voldemort would've turned the other way when crossing paths with her! Over four years later and I still won't say the name! If you've read this one, then you know who I am talking about! And then you know the entire casualty list from Harry Potter for Team Good! 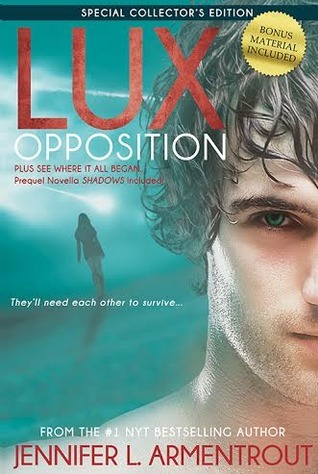 The Lux series amazed me ever since I first started it! So naturally, when it ended I was left still craving more! And we're getting that now in a roundabout way with The Darkest Star! Ian has been a favorite of mine ever since he first landed on the page in the Night Huntress series! He's continued to make me laugh and cheer throughout the series! God help whoever tries to take this character from me! Lol! The Language of Thorns sucked the life out of me in the best possible way! I was basically so sucked into this book I forgot about all things! 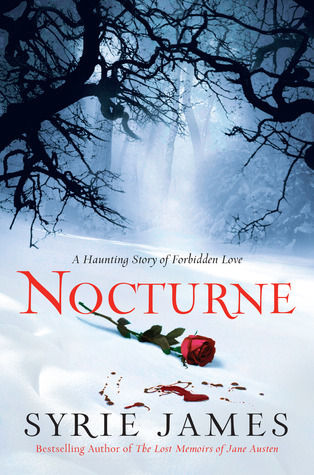 I don't think I will ever get over the ending of Nocturne! It continues to haunt me! I don't know if I would say There's Someone Inside Your House "really" scared me, but it did really freak me out! Especially when I took a break from reading it, while home alone, went into the kitchen and saw one of the cabinets was open! Needless to say I was freaked...then I saw that the window was open and breathed a sigh of relief! 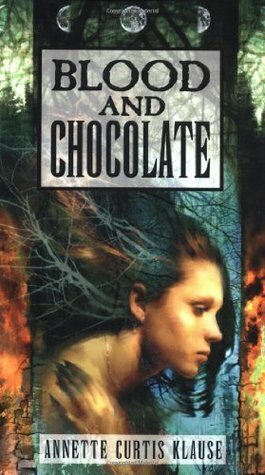 I love love LOVE Blood and Chocolate but I have a serious bone to pick with Aiden. I mean, yes, I did love the ending the way it was, but Aiden needs a serious b*tch slapping man! 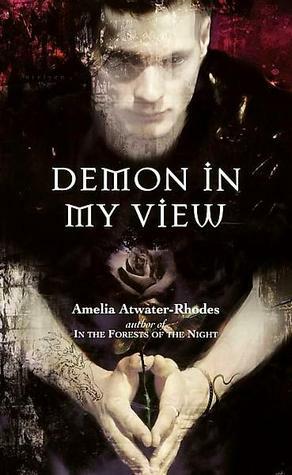 Since I already feel like Harry Potter is being preserved for all time now, so I want to pick my first vampire book, Demon in My View. This book might not hold up to our standards today, but I thoroughly loved this book! It was everything I was wanting in a read when I didn't realize I was wanting a vampire read! 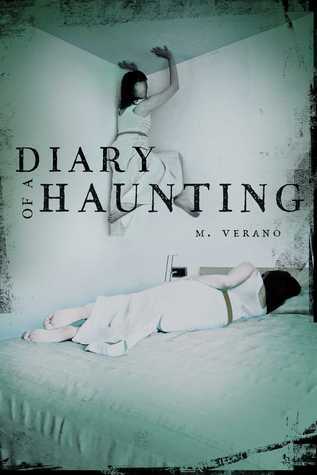 Diary of a Haunting is one of the creepiest covers I have! I still need to read it, but omg, I get nightmares just looking at it! Eek! Like with all tags I'm just going to say that if this tag sounds like one you want to join in on, consider yourself tagged! !